How do the world’s most successful real estate investors – guys like Donald Trump and Sam Zell – make the most of every real estate transaction? How do they land the deals we don’t when they use the same methods? Great investors perfect the “art” of real estate investing. And as result, every deal ends with a masterpiece they can hang on their wall and call the Mona Lisa. In fact, Trump even authored a book by based on this concept, titled The Art of the Deal, which I highly recommend you check out. Many investors have trouble grasping the art side of it all. It seems they can only acknowledge what is tangible: the numbers, formulas, and paperwork that they can get their hands on. Investors struggle with what they need to change to become a “Donald Trump” in real estate investing. In order to find answers, they go back to their black and white proofs, when instead, they should envision the colorful “big picture” that’s painted with each intended stroke. Good investors have the science down, but great investors perfect the art form of that science. To accelerate in the world of real estate investing, you should gravitate to the universal laws supported by numbers and formulas of this naturally balanced universe. Transaction Engineering. The way you structure acquisition, property management, asset protection, negotiating, and tax planning to name a few. Assessing repair costs. (∑=R1 + R2 + R3…). Capital Rates. (CR=Annual Net Operating Income/Cost (or value). Operating Expenses. The sum of all overhead, indirect expenses such as property taxes, maintenance, insurance, etc. Analyzing the profitability of a deal. (Purchase price-cost=$ in the pocket). ROR/ROI Formulas. (((Return – Capital) / Capital) × 100% = ROR) and (ROI=Gain from investment-cost of investment/Cost of Investment). Steps to assigning a contract. An agreement intended to be used by individuals or entities wishing to assign all their rights and obligations under an existing contract to a new individual or entity. My philosophy is that all science is either “practical, poetical or theoretical (Metaphysics 1025b25).” For example: Practical science encompasses ethics and politics. 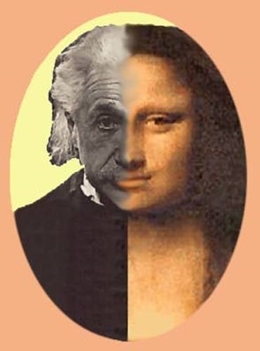 Poetical science means the study of poetry and the other fine arts. Theoretical science is means physics, mathematics and metaphysics. The practical science, which involves your values and types of strategies you utilize for investing. The Poetical Science, such as developing the art form of building rapport with clients, gaining their trust, and negotiating effectively. Theoretical Science, which relies on numbers and formulas to practice real estate investing. Creating win/win deals for everyone. Building rapport with the seller, clearly communicating in a way they can understand the true situation, negotiating effectively and fairly. Relationship marketing (i.e. networking on purpose). REA meetings, seminars, conventions, etc. that give you the opportunity to build relationships with others for learning and marketing your business. Thinking outside of your usual “toolbox” of methods. The perfect example of this is lead generation. Bring the leads to you, don’t chase them. Using “hypnotic” copy on your marketing. This involves choosing specific wording or images to subconsciously influence the reader. Becoming the “go to” center of REI influence in your area. Networking and building your reputation so you will be respected in the industry. Bottom line: Don’t make the mistake of focusing only on the “science” side of real estate investing, or you’ll severely stunt your growth and stifle your potential profits. 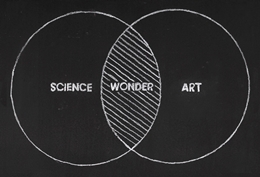 Instead commit yourself to becoming as much an “art student” as a “science geek”. So hopefully I have encouraged you guys to approach investing from a different perspective in order to achieve success. In future lessons of this series, Seller Negotiation Hacks, I will let you guys in on some of my own personal techniques I have developed to perfect the art of negotiation.